Reliable and accurate fixed filter testing that is simple to operate. 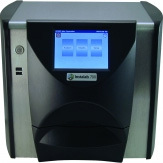 The Instalab®700 analyzer offers reliability and accuracy in fixed filter testing that is simple to operate and affordable. Quality design and construction ensures the most reliable NIR results available. The Instalab®700 has a patented rotating sample cup which virtually eliminates problems associated with sample non-homogeneity. The cup rotation is computer controlled, with 120 readings taken at 3° intervals and averaged for each wavelength. The optional liquid sample cup has a non-rotation feature for measurement of liquids and oils. Completely customizable, it allows filters to be changed to adjust the bandwidth for product constituents, including protein, cellulose, sugar, ash, starch, oil and fat, alcohol, cotton, and polyester. 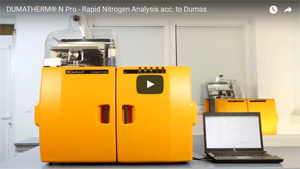 The Instalab®700 is an analytical upgrade from the Instalab®600 series, which allows for porting of the Instalab®600's extensive constituient library to the Instalab®700. The Instalab®700 is dependable in design and built for trouble-free operation in any environment – from lab to production line.